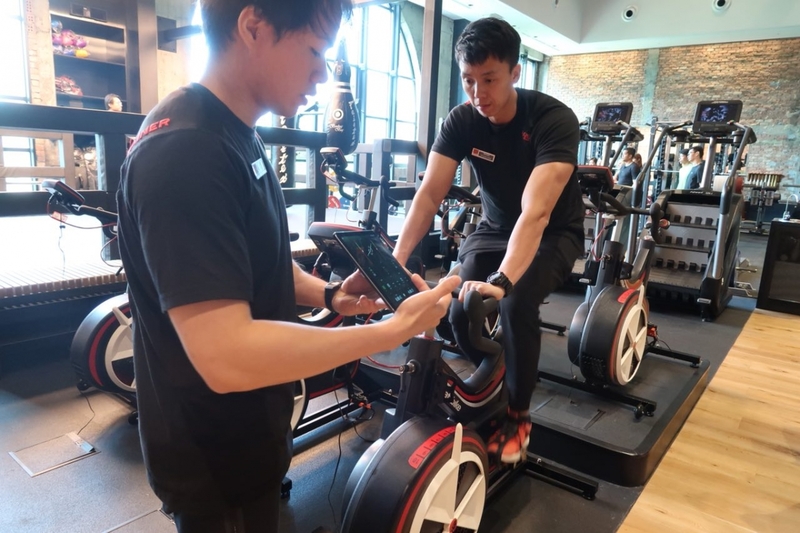 The gym which is Pure Fitness’s newest outlet at Ngee Ann City will open to the public from Dec 1, and it is debuting the world’s first stationary bike featuring virtual reality (VR) technology. The gym has numerous outlets in Singapore, Hong Kong and Shanghai. Technology and fitness have taken a bold leap forward, and it doesn’t just stop with the exercise bikes at the gym. The Evolt 360 which measure body mass and body dimensions operate with an app which users can download.